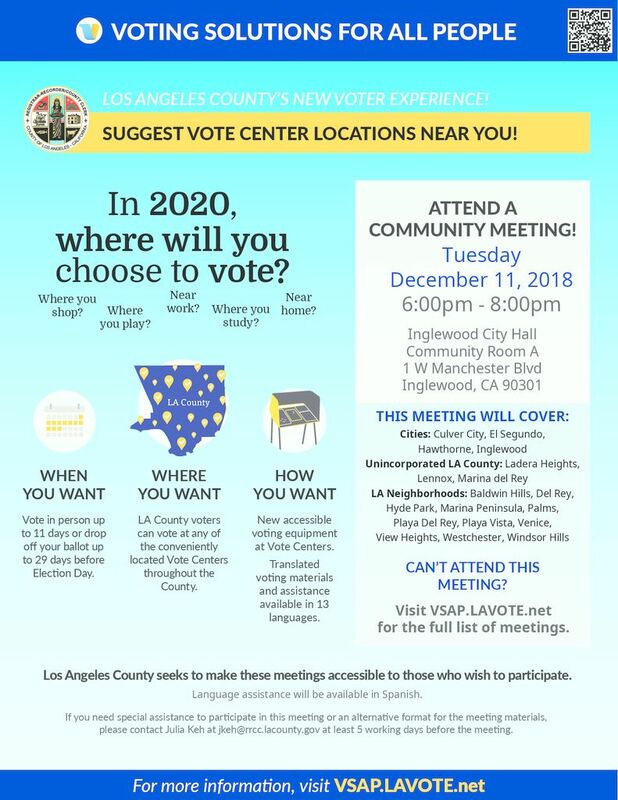 Common Cause is collaborating with the LA County Registrar to host meetings to get community feedback on vote center locations. We want to hear from community members: Where do they prefer to vote? What locations are the most accessible and convenient?